In the United States, we have a serious problem with feral cats. Unlike dogs, who have been domesticated to the point that they are seldom found feral in urban and suburban areas, cats can survive just fine on their own. However, the lifespans of feral cats are shorter, and they are often carriers of fleas, ticks and diseases, especially feline leukemia. Because they’re left intact, they breed (and breed and breed and breed…). The only real way to solve the problem is with TNR — trap, neuter and release — which interrupts the cycles of endless breeding and prevents the spread of disease. 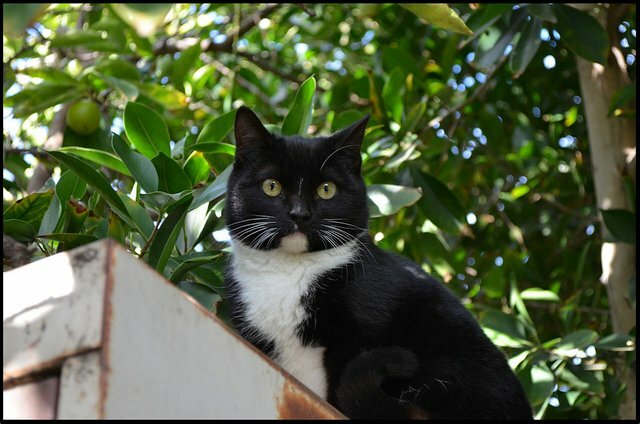 A positive, viable solution for adult cats, TNR has proved that feral cat colonies can be maintained until the population no longer renews itself with more kittens. If you have a cat colony in your area, or if you’d like to volunteer with a rescue that helps feral cats, it’s possible that you can not only successfully perform TNR but also remove and domesticate any young feral kittens you find, turning them from wild, hissing scratch-machines into happy, adoptable house cats. Trap them. Rent a humane trap from your local animal shelter or feed barn, and follow the directions for using it. Trapping feral kittens is the hardest part, so be patient! Once you have them, douse them with a kitten-safe flea and tick treatment; they will most certainly be infested when they arrive at your house. Take them to the vet. When the kittens weigh more than 2 pounds, take them to the veterinarian for spaying, neutering and vaccinations. Yes, they’ll hate you for this, but it’s necessary. Try to get them to the vet as soon as possible after you catch them, so that the trauma of going to the vet will be over at the beginning of your domestication. Give the kitties a safe space. Once you are able to bring the feral kittens indoors, create a safe space for them in a bathroom, spare room or other confined space, where they won’t be around humans, dogs or other cats. Install a litter box (they’ll instinctively know what to do with it) and supply food, water, beds and cat toys. At first, the kittens will be scared to death of you and won’t come near you. They’ll hide when you enter the room and hiss and scratch at you if you get to close. This is all perfectly normal behavior. Ignore them. If you try to get the feral kittens to come to you before they’re ready, the only result will be hands and arms covered with scratches. When you first start working with them, the best approach is no approach: Ignore them until they’re ready to investigate you. Unfortunately, it could take days or weeks for them to start coming around, but your patience will pay off eventually. Read to them. My favorite way to get feral kittens accustomed to being around humans is to sit in the room with them and read aloud from a book. The book serves two purposes: It keeps you from getting bored — of course — and it allows the kittens to get used to the sound of human voices. Visit them for about 15 minutes at a time, as many times a day as your schedule allows. Introduce them to play. With enough time and patience, you’ll find that the kittens will start investigating you — let’s hope sooner rather than later. Don’t grab at them or make sudden moves, which can set you back days. Instead, arm yourself with a couple of string toys, the kind that have a feathery mouse dangling off a short pole — or a laser pointer — and tease them into pouncing on it. You’ll be able to engage with them without having to get too close. Handle with care! Once the kittens begin to respond to your presence and play with toys, take things a step further by initiating physical contact. Go slow and let them come to you. Don’t grab them, and don’t pressure them into doing anything they aren’t ready for yet. When you are able to handle them regularly, do so as often as possible. Your primary goal at this point is to acclimate them to human touch. If you’re able to successfully tame the feral kittens, the payoff will be huge. You’ll be giving a safe, long life to little beings who will bring love and comfort to their owners. You’re also helping to halt the feral cat overpopulation problem. But the biggest reward will be the satisfaction of watching wild beasts become happy, socialized kitties, ready for adoption.